Every time I come across A.S.V.P. 's street art in the city it makes me stop and give it a close look. 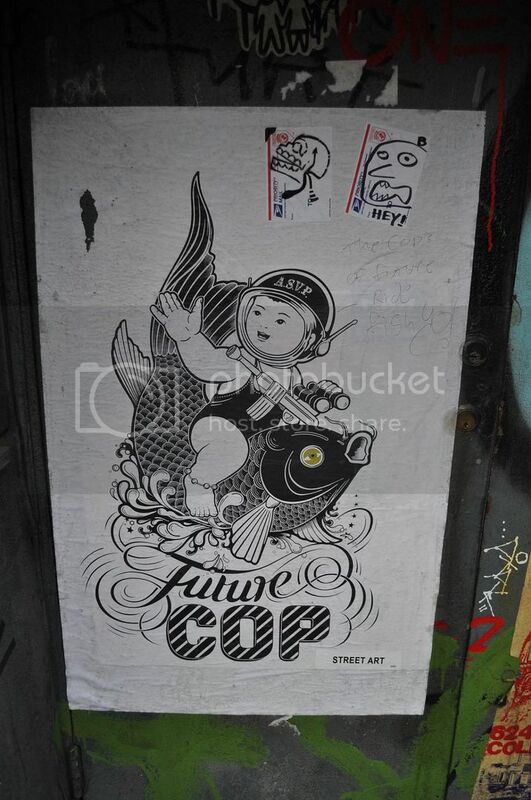 This piece, Future Cop is one of the best I've seen. It features a traditional Japanese style Koi ridden by a baby in what looks to be a space helmet carrying binoculars. Winning combination? Absolutely. We'd love to learn more about A.S.V.P. and get a shot at acquiring some original work because just seeing it on the street is NOT enough. Look for us to post more of our favorite street art as we come across it in the coming weeks.